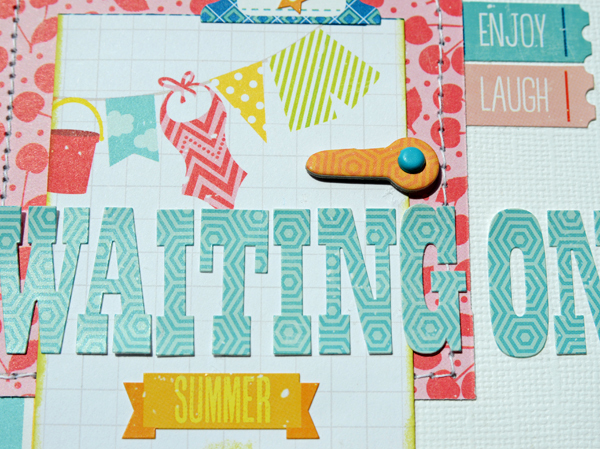 Today I'm sharing a project made from My Creative Scrapbook's creative kit. This kit contains Echo Park's A Perfect Summer collection. The yummy colors and patterns really make it the perfect for summer. 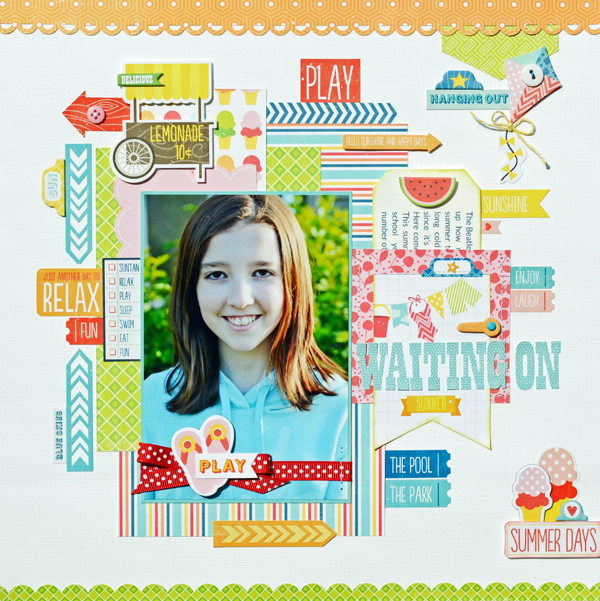 I had a great time combining the embellishments — stickers, layered stickers, and chipboard — to create clusters around my page. I'll be back tomorrow with another creative kit layout. See you then! Lisa, I like how all your elements frame your photo, particularly the ribbon on the bottom of the photo. A great use for ribbon! This is gorgeous!! LOVING the colors and love love love all the summer goodies on here!! what a great kit! This layout is gorgeous! Very fun !!! Love the embellies on the photo. What a cool touch! And the ice cream cones! Yum! You are getting lots done with that kit~so cool. Love the LO!! Awesome pic of your girl!!! Oh so pretty! 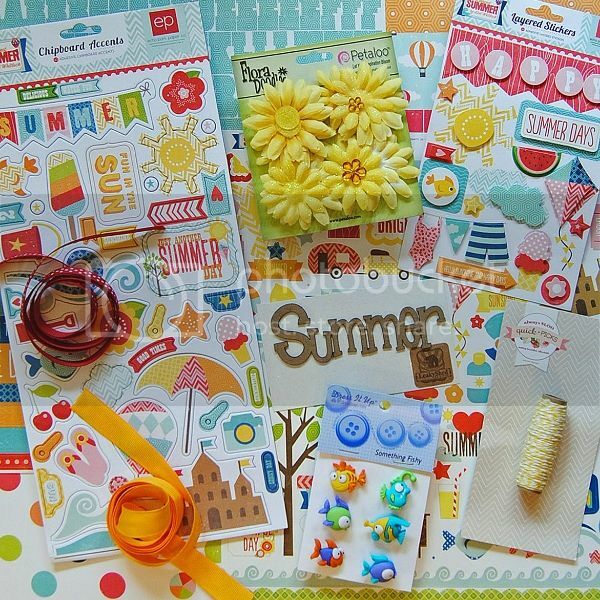 Love all the summery elements! You page is just fabulous and what gorgeous products ...I confess I am smitten with those fish..too cute! GORGEOUS!! You are seriously the queen of layers! This is wonderful! I love the abundance of vertical and horizontal pieces, the arrows really accentuate it! I love this collection, awesome design Lisa and I like your title too! I love all that stuff! Your page looks awesome. Gorgeous page Lisa!! The layered embellishments are really fabulous! !